It was a cold night in the Pacific Northwest and my beloved wife, Savitri, was dying. All her systems were failing and doctors had given up all hope. I sat beside her bed, holding her head in my hands. I met Savitri when I was 18 and was instantly captured by her haunting beauty and kind heart. I loved her beyond measure. I was calm on the surface, but deeply shaken inside. She was the only woman I had ever been with. My whole life was her, and it was about to end. So on that evening over 25 years ago when I thought I was about to watch her die, a deep inner fear started to seize me. I prayed. I prayed hard. She could barely speak a word, her breath was failing, her skin was turning blue, and her limbs were as limp as wet rags. Her eyelids were fluttering. I gazed at the beautiful woman who had experienced the death of her entire family before she was 22. Now, was she really going to meet them at 30, in the prime of her youth? Let her go? Wasn’t I the one keeping her alive? My ego was suffering. I was completely averse to the idea of letting go of control. Would she die if I let her go? Did I really know what I was doing? Did I have the correct knowledge? Doubt crept in. I had to replace it with faith. But faith in what? A God who could allow her to suffer so much? I slowly realized that I had no control. Conquering death was beyond my grasp. So, I let go of my ego that held on to her so tightly. Savitri was right. If I loved her, I had to let her go. With a heavy heart, I took some deep breaths and gently pulled away from her. She was right. I had to let go of my arrogance, my attachment to her. Still sitting beside Savitri’s bed, I waited into the night. Seconds turned to minutes and minutes to hours. With a semi-detached gaze I waited into the night. A slight flicker of her hand, a twitch of her head — it all prompted me to wonder if this was the moment she would leave this world. I watched her lungs carefully to make sure that the breath was moving. Now time stood still and all I could do was wait. And wait. After a tangible eternity, her breath jerked. She was coming back! It was not in a glorious rush, but rather slow and painstaking, one movement after painstaking movement. It took weeks for Savitri to fully return, but she did. It was a marvelous miracle. When I asked her about her experience of nearly dying that night, she told me that the only thing that could keep her alive was her light. What’s more, not only did all of my attachment, fear, and worry do nothing to help the situation, it actually blocked Savitri from uniting with her light, preventing her soul from deciding its story. “The energy of the room needed to be filled with true, genuine love—not with fear and attachment,” she told me. It is humbling to learn that clinging to another person to keep them alive may actually cause them to die. And, perhaps as importantly, the fear of death, abhinivesha, may actually be its cause. 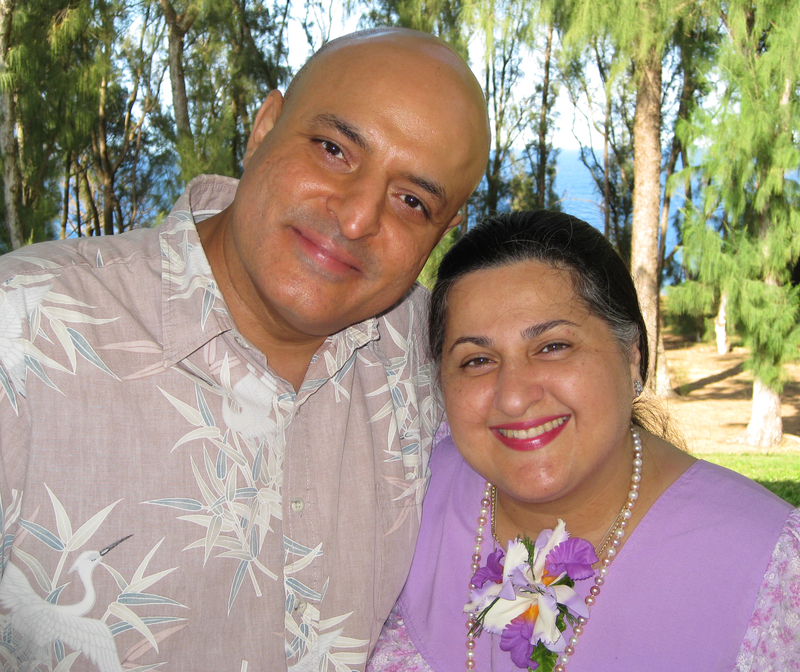 Aadil Palkhivala is a Master Yoga Teacher, attorney, and keynote speaker. Practice with him at Yoga Journal LIVE!